Drawn entirely from the stored collections at Waddesdon, rare fragments of opulent ecclesiastical textiles were assembled for the first time to explore a surprising area of Rothschild collecting. The textiles, dating from c 1400 to the late 1700s, were acquired by several members of the family. 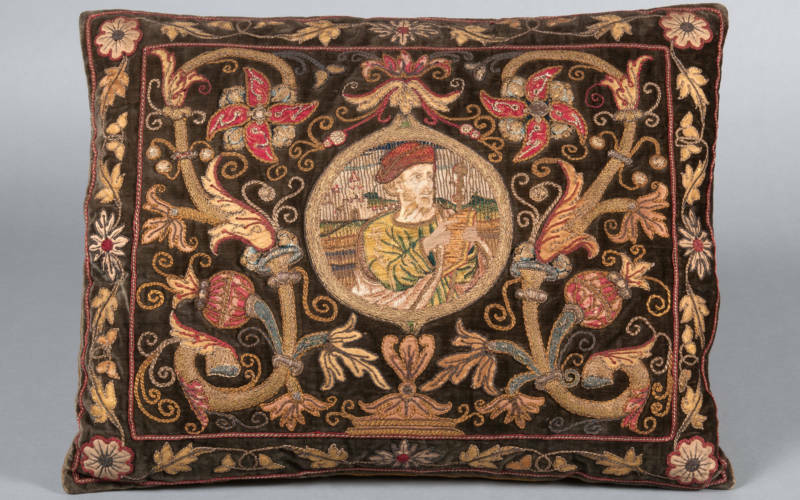 Although it might seem strange for a Jewish family to collect objects associated with the Christian Church, they were prized for their technical and artistic brilliance and used as furnishings. Baron Ferdinand de Rothschild used them in the Bachelors’ Wing at Waddesdon, the first part of the house to be completed in 1880. His sister, Alice, also had an eye for the finest ecclesiastical embroidery, displayed as decorative hangings in her own house nearby. 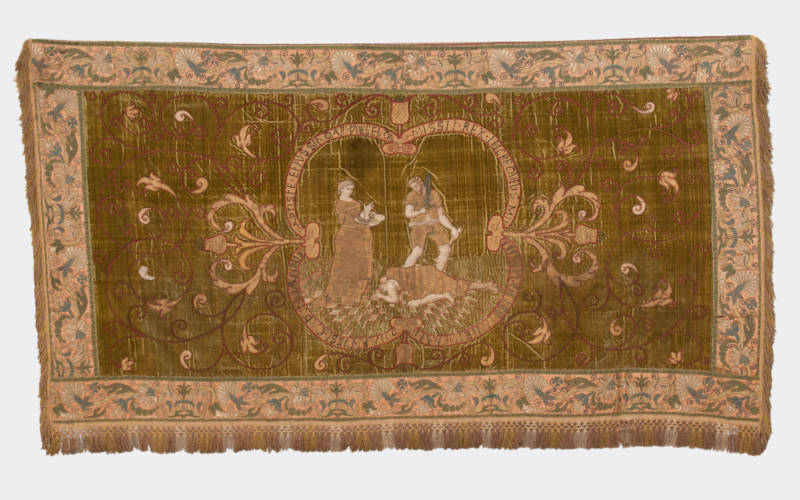 A passionate collector of costume and textiles, Ferdinand and Alice’s niece, Baroness Edmond de Rothschild, shared their interest. 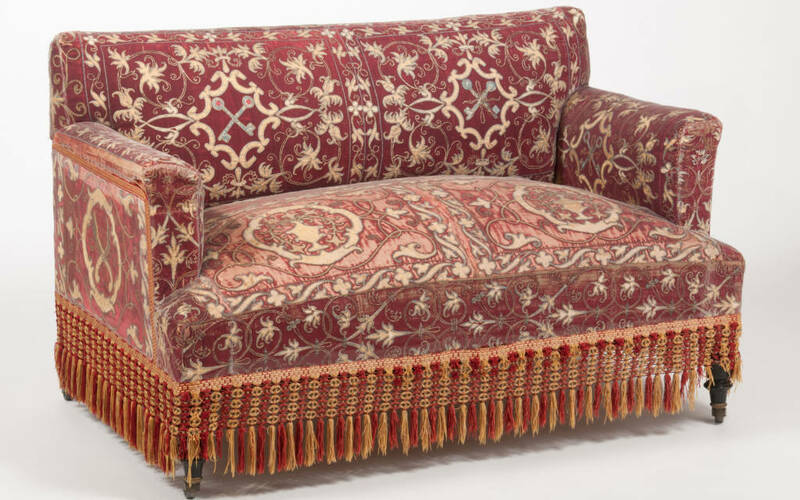 Parts of altar frontals, vestments and other church furnishings, the textiles survive as fragments, cushions, banners, hangings and mounted on furniture, as their original purposes were altered to suit tastes and interior styles of the late 1800s. All have been specially conserved and mounted.